Jesus The Great Connector! | Jump for Joy! TO LISTEN TO THE AUDIO VERSION OF THIS POST, CLICK HERE. Right from the beginning of His Life, Jesus connected Heaven and Earth. Angels joined the celebration of men, women and animals on earth. Those in different stations of life were linked by His Glorious Presence. Shepherds and kings alike worshipped Him. In the moment of their joint worship, there was truly Peace on Earth. As Jesus ministered in His adult years, once again He connected those who likely would have never connected themselves. Tax collectors hung out with fishermen. Women were welcomed into ministry. Children were welcomed right into the midst of teaching sessions. Samaritans, who were hated, became heroes of Jesus’ Stories. Lepers, who were formerly considered unclean, were touched by Jesus. And in one of Jesus’ final great Acts of Connection, He took a man, some called a thief, home to Paradise with Him! So who were Jesus’ best buds? Would being in His Family cinch being a part of the in crowd? Apparently not. In a rather disturbing incident, Jesus’ Disciples told Him that His Mother and Brothers were outside wanting to see Him. Did this Man, Who was so open with everyone, drop everything and hurry out to see them? We really don’t know that part of the story, but Matthew 12:48-49 records what Jesus said. 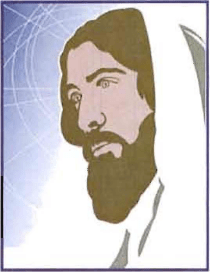 Was Jesus excluding His earthly family? No! it was clear they were doing the Will of His Father. Jesus was not limiting His Family. He was enlarging it! Room At The Table for Everyone! I’m Coming to Your House to Eat! It is wonderful to love one’s family. But sometimes we come to see our family as a kind of exclusive, closed club. When special occasions roll around, it is often a given of who will be at our table — our families. But Jesus seems to have gone out of HIs Way to be at the table with all kinds of people. Jesus once encountered a short, little tax collector, named Zacchaeus, who climbed a tree to see Him from afar. It is not clear what motivated Zacchaeus to want to see Jesus, but it is likely he never thought his day would include having Jesus at his table in his home. But it did! So he came down at once and welcomed Him gladly! Zaccaeus became a part of Jesus’ Family! What’s Going On? Surely He Knows Who She Is! At another time, one of the Pharisees invited Jesus home for dinner. Given some of the things Jesus had to say to the Pharisees, it seems a bit odd that He would even accept the invitation. But He did! A woman, who was judged to have lived a sinful life, dared to come to Jesus at the table. She carried perfume to anoint Him. Not only was her very presence questionable, but to plan to touch Him was unthinkable in the Pharisee Circle. she began to wet His Feet with her tears. and poured perfume on them. Jesus read the thoughts of His host. Simon the Pharisee was horrified, both at her actions and Jesus’ lack of pushing her away. Jesus taught Simon a lesson that day. He addressed Simon’s judgmental attitude. He addressed the woman’s act of humility and worship. And once again Jesus revealed His Mission of coming to save His People from their sins. Jesus connected two unlikely people that day — a Pharisee and a woman he (the Pharisee) had judged to be sinful. if They Would Let Him Save Them! Jesus welcomed another to His Table, who we may think had no right to be there. If you think that, be careful. Don’t be like Simon the Pharisee in making judgements! Jesus welcomed Judas many times to His Table. Jesus still welcomed him for the Last Supper, even when He knew what Judas was about to do. He was still willing to feed Judas and love him. He was willing to include him in the New Covenant. But to enter the New Covenant, Judas would need to humble himself and examine his erroneous thoughts. He would need to repent and submit to Jesus as Lord, not just as a Teacher. Even though Jesus offered Judas the same bread as the rest of the twelve, Judas did not receive it as the Body of Christ given for him. And so, events began to unfold, as Paul recorded them in 1 Corinthians 11:28-29.
and drink from the cup. He gave it to Judas, the son of Simon Iscariot. We are offered the choice of whether to stay in Jesus’ Family. God/Jesus/The Holy Spirit will always be The One for us, but we still have the freedom to step away. Would God choose to send us to hell? No! But if we chose that path deliberately, He will not stop us. What He has given, He will not take back. He has given us the right to choose our destiny. I Wish I Was Still At My Father’s Table! If we stray, is there any hope of returning to the table? Jesus told the story of the Prodigal Son. In that parable, the Father can be seen as God, Who was willing to bless his son and give him what he asked. But the Father did not pull his son back from the suffering he would experience as a result of his choices. As painful as it may have been for the Father, he allowed his son to reap the consequences of the seeds he sowed. However, the most beautiful part of the story happens when the son decides to return home. threw His arms around him and kissed him! The Father had not gone out to drag the son home, but when he chose to come in humility and repentance, the son found a joyful homecoming waiting for him. How did the Father see him a long way off? Because He had not given up on His son. He was still looking. He was still expecting him. Even though the son had thought himself unworthy to be in the family anymore, the Father counted him very worthy. He ran to His son and welcomed him home! Peter knew he had messed up. He had followed Jesus everywhere. He had even followed Him after the soldiers took Him away that night. But when Peter realized how horribly wrong things had gone for Jesus and how horribly wrong they could go for him, he caved. He did the unspeakable. He denied he even knew Jesus. And he did it three times! For all his brash actions, when it was time to rumble, he didn’t move. He hid in the shadows. Peter must have played and replayed those moments, as the agony of Jesus continued. I also will deny before My Father Who is in Heaven. Peter’s stomach contorted into knots, as he realized the Truth of Jesus’ Words. Jesus would now deny He ever knew Peter. And it was too late to ever make it right. Jesus, Who was indeed with Peter still, felt the washing of His Feet with Peter’s tears. As their heart beat together, Jesus loved Peter and knew Peter’s story would have a much happier ending than Judas’ story. but you will see Me. Because I live, you also will live! They knew it was The Lord! and did the same with the fish! They were still family. And that included Peter! Peter had the opportunity to tell Jesus how much he loved Him. And Peter had the opportunity to know that he knew that he knew he would never stray from the family again. He was home! Jesus had restored and reconnected Heaven and earth for him! are of the same family. So Jesus is not ashamed to call them brothers! When you want to share a meal or an occasion, do you think of who will make you feel loved and accepted … OR … do you think of who Jesus would like to love and accept through you? Is it possible you are more passionate about connecting people to Jesus than you are being connected to them through Jesus? Where are you in the family right now? Are you seeking all God will give you, so you can go have a good time? Are you wallowing in the mud and wondering why God hasn’t come to get you yet? Are you on your way home and hoping just to be allowed as much as a servant might get? Are you in the Arms of your Father in true repentance? Are you celebrating the Mercy of the Father? Take a moment and hear the Voice of God, saying to you, “Welcome Home!” What does that mean to you? Posted by carolynpriesterjones on April 11, 2014 in Christian, Encouragement, Joy and tagged Christian, Encouragement, Family, Forgiveness, god, Holy Spirit, Jesus, Jesus the Great Connector, Joy, Judas, Peter, Pharisee, Prodigal Son, Room at the table, satan, Who is my mother, Women who sinned, Zacchaeus.